Graduating from TrinityLaban Conservatoire of Music and Dance. Erena began devising NATASHAS in late 2012. The Natashas Project was founded in 2013 to let the world know that nothing is too big for God, not even this issue, and to encourage others to join the fight to end this injustice with whatever gift or tool they have. The Natashas Project uses dance to speak, reach, inform, impact and inspire people of all ages and nationalities to see modern day slavery come to an end. Erena's recent choreographic credits consist of 'Where then shall we start?' Spark Productions The Queen's House Greenwich | 'A boy and a girl' A440 Reading choir, Reading Tour | 'Beautiful' Project Dance London | 'Clue' Kobikas Senior Dance Company, Activate | 'Poor Rich Man' Kobikas Senior Dance Company, UDance | 'One Body' Elevate dance company, UK & Gran Canaria Tour | Rebirth Dance Company. Harriet is a Dance Artist based in Margate. She completed her training at Trinity Laban where she was awarded The Marion North Award for outstanding achievement in performance. She has worked with Choreographers including Simon Vincenzi, Rahel Vonmoos and Charles Linehan and performed at Sadler’s Wells, Bonnie Bird Theatre, Embrace theatre (Dance4). Currently she is member of the Swallowsfeet Collective, Dancer for Loop Dance Company, Performer and collaborator with Sivan Rubinstein and Assistant director for The Natashas Project. All whilst delving into her own creative practice with her solo work ‘Cling to the scaffolding’ which premiered at the Gulbenkian, Canterbury. Sarah started her journey with rhythmic gymnastics which led into her exploring Contemporary dance as a member of Coventry Youth Dance Company and Gravity Angels. Sarah went on to graduate from London Contemporary Dance School in 2012. During her time at LCDS, Sarah worked with a number of choreographers including Richard Alston, Mafalda Deville, Sasha Roubicek, Jeannie Steele and Nick Nodine. After graduating Sarah joined Transitions Dance Company, during her year with Transitions Sarah worked with Tom Dale, Lauri Stallings and Augusto Correri touring Europe. After Transition Sarah joined Daisy Farris Dance Collective (DFDC), an exciting team of artists, creating work which holds collaboration at its heart, often working with camera and site-specific pieces. Sarah has been a company member since 2013, who performed at Resolutions 2014 at The Place, Big Dance Medway 2016, performing ‘She's like a forest fire…Unstoppable’, and E-Luminate Festival Cambridge 2016, performing ‘Laughing at Clouds’. DFDC have currently received arts funding to start their new project in January 2017. Sarah also works at SHSA Educational Spaces teaching Contemporary and Gymnastics to Army Families, Home Education Families and Adults with Disabilities, as well as helping run and develop SHSA as a Non-Profit Organisation. Sarah is also a passionate dancer for The Natasha Project. Hayley trained at Italia Conti where she studied musical theatre. She became head girl in her third year and in the centenary year for the school, performing alongside Bonnie Langford in her final show. After finishing college she went on to work with New Adventures on their graduate project 'Prologue' choreographed by Steve Kirkham. Hayley then went on to choreograph and perform in a site specific theatre show, 'The House of Secrets' by Ophelia Circus. In 2014 Hayley started working with C-12 Dance Theatre on 'Promises' and then toured their family outdoor show ‘Market Stall’ around festivals in the UK. She later joined the cast for ‘Shhh!’, an indoor theatre production that they were reviving and most recently performed with the company as an original cast member on a new commission for Wilderness festival. Hayley regularly works with Rosie Whitney-Fish on various physical theatre shows as well as dance films and interactive street performances. In January 2015 Hayley worked with Northern Ireland Opera in ‘Salome’ under direction of Oliver Mears and Anna Morrissey as movement director. Hayley performed as the soloist in the famous ‘dance of the seven veils’. The show received five star reviews and Hayley's performance was extremely well received. She then went on to work for Opera North in Leeds in November 2015 as the swing dancer/actress in their production of Andrea Chenier. The production was directed by Annabell Arden and Choreographed by Tim Claydon. Hayley worked at Hampton Court Palace on a physical theatre piece 'On Progress,' choreographed by Anna Morrissey which was later performed at Latitude Festival. In August 2015 Hayley stepped in as the rehearsal director for the show’s revival. As well as performing Hayley also teaches and choreographs for various dance schools and colleges all across London. Sarah Amankwah trained as an actor at Manchester School of Theatre. Acting credits include: The Crucible, Royal Exchange Theatre, Threepenny Opera , Amadeus, National Theatre and West Ends' The Lion King. Her passion for writing developed in 2010 through the form of spoken word poetry. Sarah has gone to develop her skill as a writer working with The Natashas Project, The Rebirth Network and winning a poetry competition in Chicago. Sarah is currently working on a storytelling EP which will be released late 2017. Eva graduated from Laban with a BA (Hons) in Dance Theatre in 2012, and she performed in a ballet section of the 2012 Olympics closing ceremony, since then she has been involved with performance projects The Game of Life exploring the relationship between dance and music with choreographer Jalianne Li and composer Tommaso Perego in The Hague, Holland. She worked with the Dog Kennel Hill Project on sight specific work, in a Kings Wood Kent. Other performance work includes 'moving images', a collaborative project with photographer Phil Coy at Siobhan Davies Studios and 'Shout' credit card advert with London Creative. Eva is enthusiastic about inclusive dance and went to Bangladesh to work on dance projects in the CRP centre (Centre for the Rehabilitation of the Paralysed). Eva has been invited to The Bader International Study Centre to teach dance and disability workshops to university students. The Natashas Project since 2013 is passionate to see awareness increase about human trafficking. Originally from Finland, Miia started dancing at an early age at a local ballet school. After years of training in different dance styles, Miia found a love for Contemporary Dance and as a result moved to London to study at Trinity Laban Conservatoire of Music and Dance. Miia graduated from Trinity Laban in 2017 with a First Class Honours Degree. During her studies, she worked with choreographers such as Sara Wookey, Lizzie Kew-Ross and Ben Wright among others. After graduating, she has been working with an emerging physical theatre company Meta4dance, Lydia Touliatou and a composer Andrew Marriott and many more for various performances. Currently Miia is working with Wilhelmina Ojanen for the Sadler’s Wells Young Associates commission. She is also a founding member for a female collective LIPS which provides integrative, diverse and multi-disciplinary arts event to promote positive social changes. The main interests of Miia’s creative practice include humanitarian issues and bringing dance to a wider audience and communities. 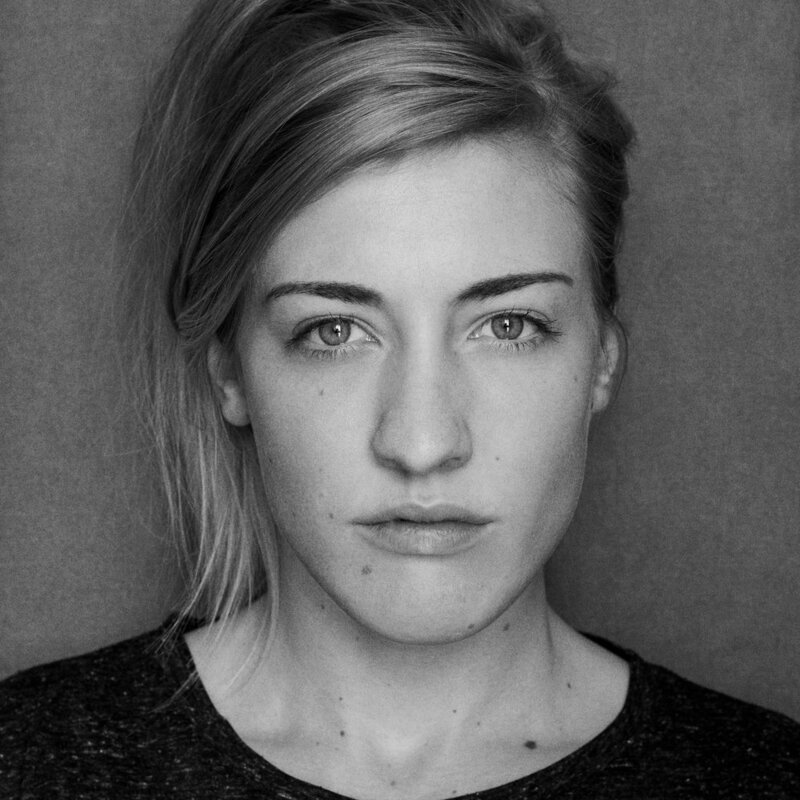 Rachel Laird has been fortunate to have trained at Copenhagen Contemporary Dance School (Post Graduate Diploma 2018), Trinity Laban Conservatoire of Music and Dance (BA (HONS) Contemporary Dance 2018) and Scottish School of Contemporary Dance (2014). She is very grateful to all the wonderful artist she has been lucky to work with so far and has performed work throughout the Scotland, England (Sadler's Wells), Northern Ireland, Wales, Ireland, Belgium, Holland, USA and India. In works by Yael Flexer, Filip Van Huffle, Theo Clinkard, Hagit Yakira, Heidi Rustgaard, Dam Van Huynh, Joan Cleville, Matthew Robinson, Róisín O'Brien and Anna Kenrick among others. Rachel was in a re-staging of Martha Graham's work Panorama, led by Graham company dancer Jacqueline Bulnes, in 2017 and also performed alongside Van Huynh Company in their work Under this Weight in Kolkata, India as part of the Dance Bridges Festival 2017. Rachel is passionate about expanding and using her background and interests in musical theater, improvisation, voice work, physical theater and contact/partner. Alongside all of this Rachel is looking to expand her use of language through the arts and write poetry, which tends to comes from automatic writing techniques. Rachel is greatly excited to join The Natasha's Project as a company dancer in 2019. 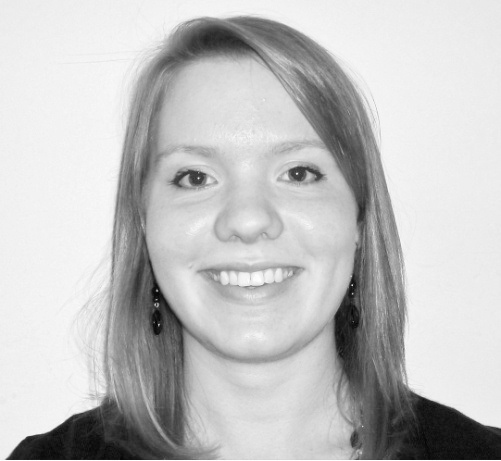 Jenny has a BA (Hons) degree in dance from the University of Chichester and is currently qualifying as a Play and Creative Arts Therapist with PTUK. She works in a specialist SEMH primary school alongside being involved in variety of projects with the arts, particularly using them in a therapeutic way and to communicate creatively with God. She has a Certificate in Therapeutic Mentoring from the Trauma Recovery Centre (Bath) and is involved in volunteer roles that support individuals who have experienced sexual exploitation and trafficking. Jenny is very keen to combine her passions in the restorative dance workshops delivered by Natashas to promote freedom, self-worth and fun!